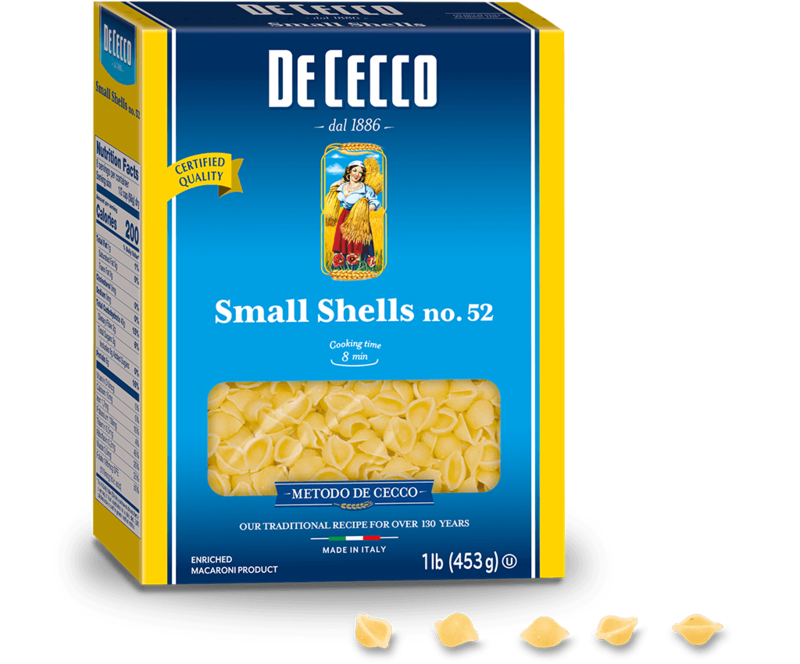 Small Shells, a smaller, smooth variation of the Shells, are a whimsical shape and have always been considered a great pasta for any kind of sauce for all the family because children love it too thanks to its shape inspired by small, attractive seashells. Enjoy them in soups and vegetable broths. Excellent served with creamy sauces made from tomatoes and pulses such as peas, beans or chickpeas. Available in 16.0 oz pack.